PLUS SIZE EVENT: ERZULLIE LOVE SALE | ONE-FOR-FREE! Let’s make this love month hotter! 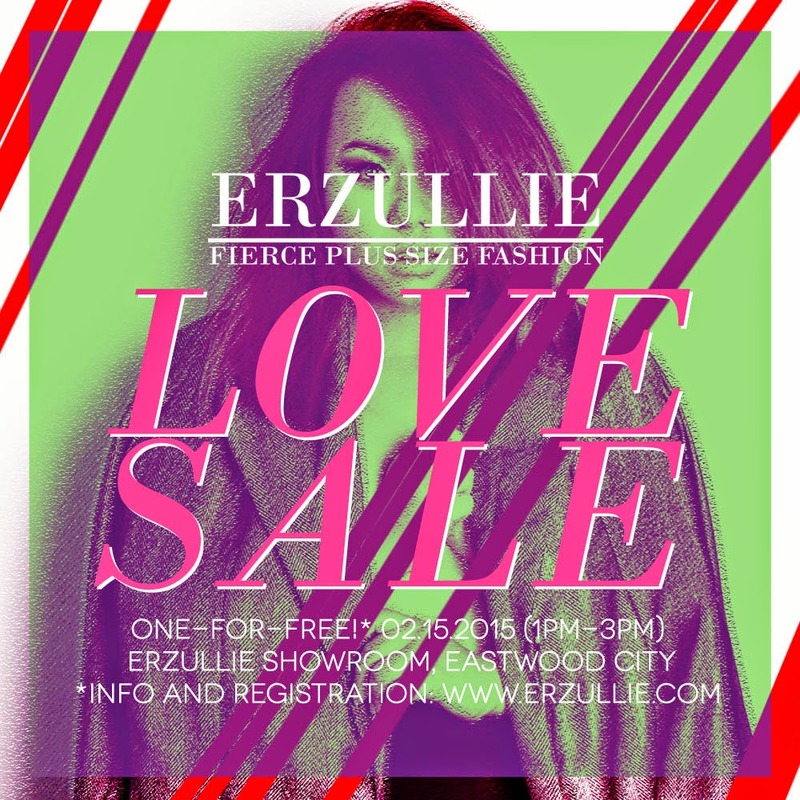 Erzullie is having a LOVE SALE this February 15, 2015, Sunday (1PM-3PM) at the Erzullie Showroom, Legrand II, Eastwood City, Quezon City. Simply shop at the said event and get one item from the sale selection for FREE!